'Towards Paradise' was the first major landscape installation to be part of the Venice Architecture Biennale. Working in collaboration with Gustafson Guthrie Nichol (GGN), the garden installation is carved out of the overgrown grounds of the former Church of the Virgins, a Benedictine nunnery that was destroyed in the late 1800’s. Towards Paradise is a contemporary allegory for a journey through earthly dilemmas, evoking what has been lost and what can be gained in the relationship between humans and nature. For the visitor the journey begins with the discovery of the garden, entering through the garden wall and finding oneself among the ruins of buildings covered in ivy. The path, if followed led to the “Store Room” or place of Memory, a warehouse where the back wall was inscribed with the Latin names of extinct fauna and flora. Leaving Memory to explore the path through the thick overgrowth and ruins of an abandoned garden, the visitor then moves to the garden of Nourishment, a traditional food garden honoring the sustenance that is for both body and soul. 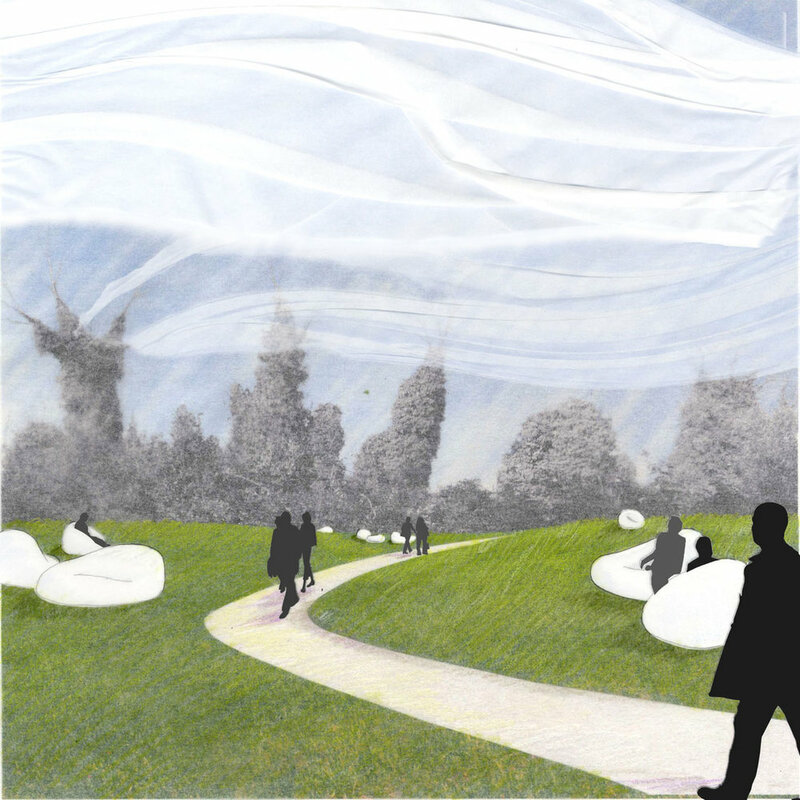 In a clearing was the contrast of Enlightenment, where unearthly “clouds” held aloft by white helium balloons above an oval-shaped landform inspire reflection and dreams of Paradise. The whole garden was extremely complex and evocative, and was among the most popular pieces of the whole Biennale. It was so successful, in fact, that the Biennale chose to keep most of the garden after the event had finished. This was the only installation for this was true, and the mounds remain to this day as successful additions to the Venice landscape.